A Year of Being Here: Gabriela Mistral: "Dawn"
can enter like a cataract of fire. I sing my break of day. flees defeated and takes flight. "Dawn" by Gabriela Mistral, from the four-part poem "Time." 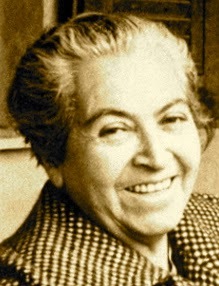 From Selected Poems of Gabriela Mistral. Translated from the Spanish by Ursula K. Le Guin. © University of New Mexico Press, 2003. Image credit: "Embarking Daybreak," acrylic painting by Sarah Goodnough.